This year the daffodils have been later than we’ve ever known them, and where we expected the fields to be in full glorious bloom by the end of March, there was hardly a bud showing. 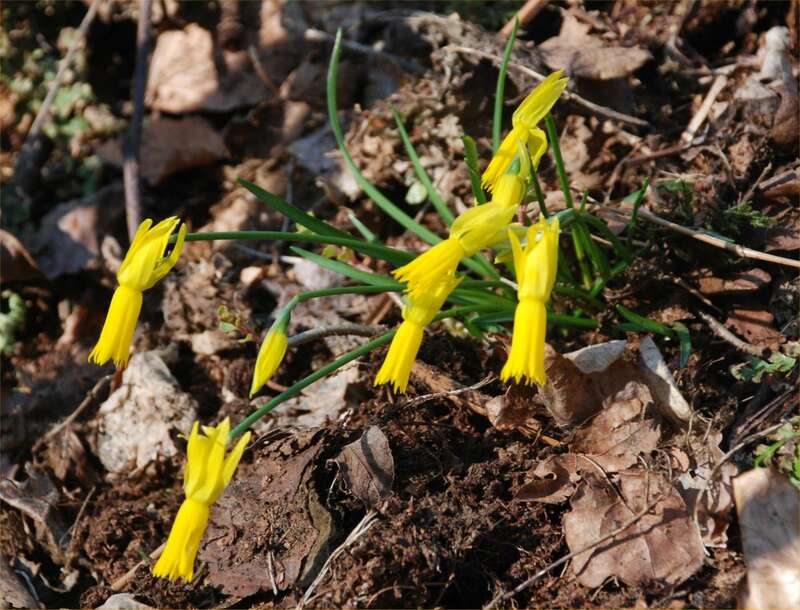 Mr and Mrs Green from Delamere kindly donated some of their N.Cyclamineus to help the daffodil walks that were in crisis due to the late season! We hope you spotted them just over the bridge down in the woods. Thankyou to everyone who came along to support Macmillan, we hope you still enjoyed the talks and guide and the countryside, even though there weren’t too many daffodils to show until the very end of the two weeks. We hope for a bit more cooperation from the weather next year for a fantastic show! This entry was posted in Walks, Weather. Bookmark the permalink.